This sun stacker is made from sustainably harvested wood, non-toxic paint, and natural wood polish made from beeswax, jojoba oil and essential oils. Perfect and safe for little hands! 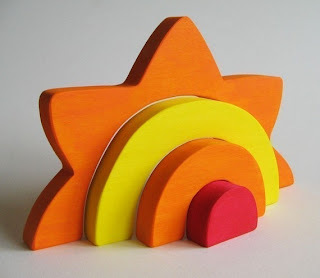 Each of the Sun Stackers are uniquely handcrafted by erin at Imagination kids where they have lots of other handmade, eco friendly unique items.